Send ZACCHO YOUTH COMPANY to SCOTLAND! For the second consecutive year, Zaccho Youth Company has been invited to perform at the Aberdeen International Youth Festival (AIYF), which strives to "provide opportunities for talented young performers and artists from all over the world to socialize, exchange ideas and learn about each other's cultures through active involvement in an artistic setting." Though we were unable to secure sufficient funds for last year's invitation, we are hopeful that supporters like you will get our youth to Scotland this year! Founded in 2002, Zaccho Youth Company (ZYC) is a collection of passionate, pre-professional students, ages 9-19. The company is audition-based, and the youth work with Zaccho's Artistic Director Joanna Haigood in a highly professional setting to create original choreography.These youth artists have performed throughout the San Francisco Bay Area to unanimous acclaim at numerous prominent California venues. 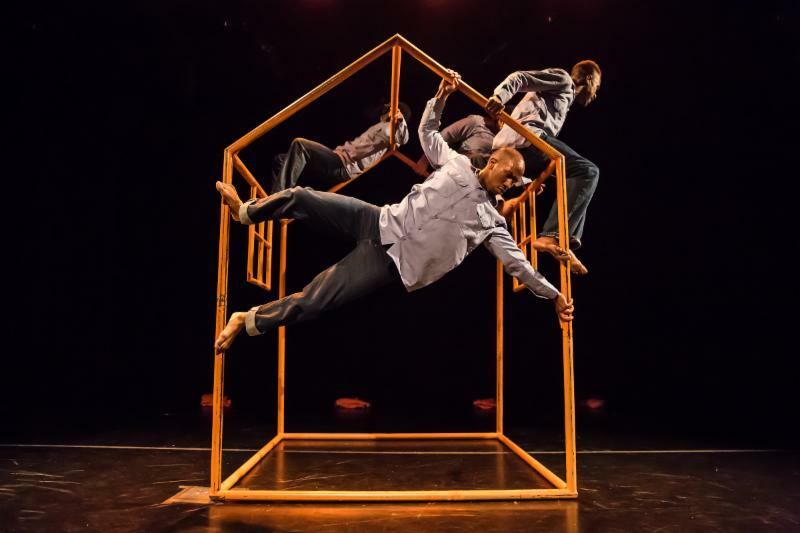 In 2012 the youth funded a national tour to travel and perform in Atlanta Georgia, where they participated in a residency and creative exchange with fellow youth aerial ensemble, Project D'Air. Today, Zaccho Youth Company (ZYC) is being recognized on an international stage and we aim to send them to Scotland as youth ambassadors for the United States! The largest risk to this project's completion is not securing its funding. In order to send these youth artists to perform in Aberdeen, we must raise $30,000 to cover costs for airline tickets, local transportation, lodging and food for the youth company members and two staff members. While we are attempting to raise funds via grants, performances and other events, we hope to secure a solid $7000 from supporters like you! Donate to the campaign here to help us raise $7K to provide these young artists with this opportunity to participate in the cultural exchange and artistic growth afforded by this festival! We believe that they can represent the United States in such a way that promotes tolerance, diversity and innovation. Let's make this happen! Zaccho's Youth Performing Arts Program (YPAP) Extension Program at Paul Revere Elementary School will present new work with 250 children (grades 2-5th) on Friday, February 27th, at 7pm. This year's focus is on African American scientists, inventors and groundbreaking figures in the arts and celebrates a century of excellence from 1915-2015. This year's teaching artists include Ed Johnson, Rashidi Omari, Shakiri, and Jose Navarrete! Zaccho Dance Theatre's Youth Performing Arts Program (YPAP) is an arts education program developed to enhance classroom learning. The program is designed to help educate the mind and the physical body. YPAP was created to reflect and integrate the highly innovative performance work of the organization's professional dance company with the life experiences and possibilities of our young neighbors in San Francisco's Bayview Hunters Point. In our studio for over 20 years, Zaccho's arts education program has served 100-450 predominantly low-income, African American and diverse children of color annually by offering free during-the-school-day and extracurricular classes to students 7-18 years old; engaging over 4,000 youth to-date. The youth explore their collective and individual potential in a professional setting through performance training, improvisation, personal research, and contemporary and aerial dance. Each year, Artistic Director Haigood defines a curriculum topic and creates a study guide with input from educators and Zaccho teaching artists. The topics are drawn from issues that are historical, environmental and relevant to our community. A year-end performance event at a professional theater customarily features the hard work of participating youth. Join us for this FUNdraising event! All proceeds from the Mini Performance Marathon benefit Zaccho Youth Company and our Youth Performing Arts Program! Branice McKenzie, Emcee Infinite, Keith Hennessy, DawsonDanceSF, Robert Moses, Flyaway Productions, DelinaDream, Lu Yi's new ensemble "acrosanct", SandiaSexton, Marcus Shelby , NAKA Dance Theater, Byb Chanel Bibene, Zaccho Youth Company and many more! Please join us for an informal gathering hosted by Bayview Hunter's Point residents Gabriela Rocha, Michael Turner & Nate Armstrong, as well as Zaccho's Resident Company, Navarrete x Kajiyama Dance Theater and racial equity educator, Tammy Johnson. Your hosts will discuss the educational system, gumbo stories, and the history and future of the "new" Bayview. Food and drinks will be provided. The Bayview Project is supported by Zaccho Studio and The San Francisco Arts Commission's Arts and Communities: Innovative Partnership Grant. A big THANK YOU to our favorite Bay Area carpenter & set designer, David A. Gardner of R Productions, for repairing our sprung dance floor!